Bloggers are a dime a dozen these days. But talented bloggers are actually quite valuable. If you have the foresight and the skill to make sense of life's little intricacies, or the daily happenings in the news — and if you can write about it with gusto, ease, and good grammar — there's a special place for you in the bookmarks bar of countless people perusing the Internet. Further, if you have something smart and interesting to say, and you're not going to just regurgitate what's already been said, then you can make it. And these very qualities will help you attract a following. That's the hardest part of cracking into the blogosphere business. But once you've cultivated a following with your stellar content, there are several ways to go about making a few extra cents. From ads and affiliate links, to product reviews and targeted social media promotion, you'll be on your way to supplementing your income in no time. A part-time tour guide gig at your local museum might just be the perfect way to earn an extra chunk of cash while bridging the gap between modern life and the world in your favorite history books. A sincere love of literature will land you an interview, at the very least, for a job at your local bookstore. If you're up for the challenge of helping customers find a literary adventure that suits their specific interests, and if you think you'd actually enjoy it, then the part-time bookstore clerk gig is made for you. Bonus: A coveted discount on books and other merchandise is a staple perk of the job. Grammar enthusiasts and punctuation snobs make for astute copy editors. And they're among the first to truly appreciate how important this job of proofreading for spelling, grammar, and content truly is. If you've any doubts, pick up a copy of any local newspaper that has done away with the position due to budgetary restraints. Quite often, copy editor-less content is painfully comical due to spelling and grammar mistakes. Newsletters, newspapers, books, and internal business communications are just a few examples of the kind of copy that needs editing. Look for advertised gigs or advertise your services directly to the folks who run these sort of operations. To the esteemed reader, writing might feel like a 360-degree role reversal. But if every great writer is a dedicated reader, the saying probably rings just as true for readers who dabble in writing, right? News stories, book reviews, advertising copy, guest blog posts, corporate newsletter content, poetry, short stories — the options for the for-profit freelance writer are endless. If you are fluent in a language, especially one that's somewhat obscure, you can earn extra income online by seeking out translator jobs. Translatorgigs.com, Fivver, and Freelancer.com are great places to begin your search for gigs. 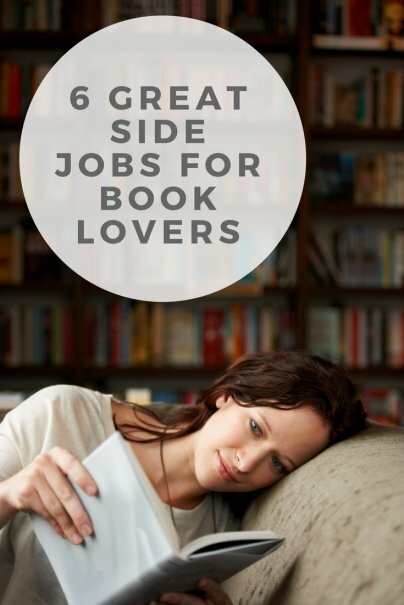 What other jobs would be perfect for bookworms? Share with us in the comments!